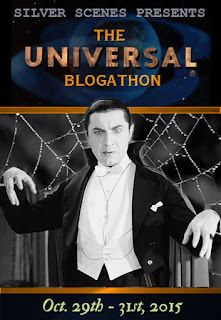 Way back in the good old days of movie making before the VHS tape changed everything, if a movie didn’t do so well at the box office you could just change the title, film a couple new scenes and market a new trailer and try all over again. By the time you’re ready to sell it to television, do it all over again and pad out the running time with some stuff deleted for the theatrical presentation. Such is the case with this better than average flick featuring a rock solid cast led by the one and the only Oliver Reed. 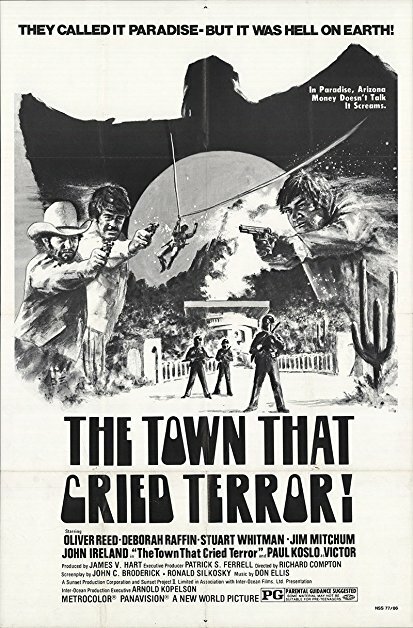 Directed by Richard Compton, all three titles fit the billboard when Paul Koslo runs around with a crossbow and war paint on his face terrorizing an Arizona town. By the time the film reaches the ten minute mark, Koslo has left 4 people dead, two of which are police officers and a ransom note on a chalkboard in Police Chief John Ireland’s office. He wants a million dollars from the wealthy landowners who it is insinuated have used illegal means and extortion to gain their properties and wealth. 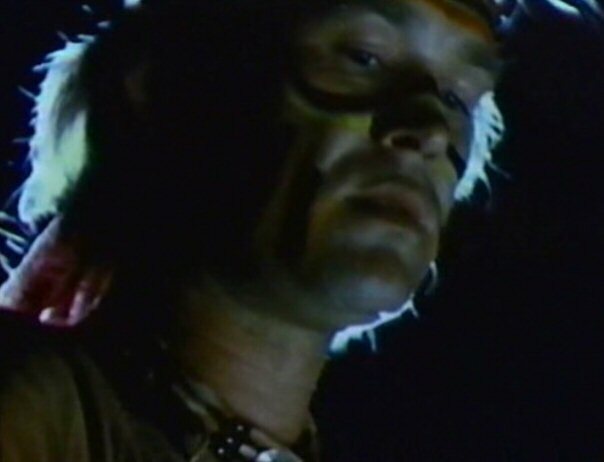 It’s an angle that sits just outside the main thrust of the plot that chooses to focus more on hunting down Koslo the psycho than an avenging member of a native tribe. 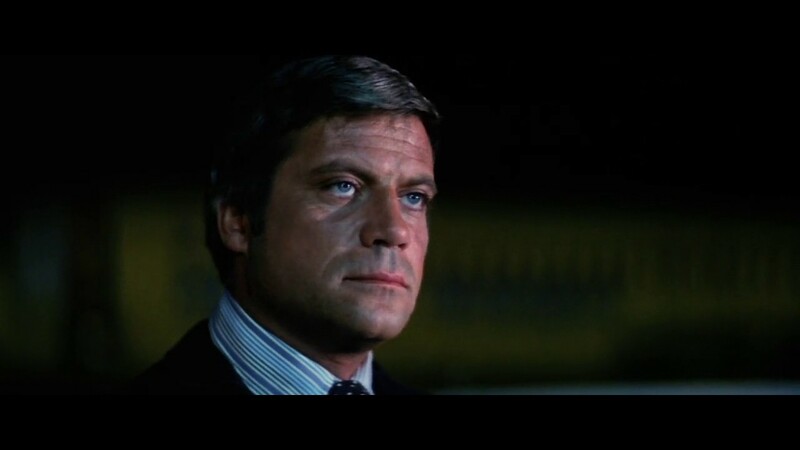 The money men who control John Ireland and the town are led by Stuart Whitman who calls in a professional killer who can handle this quietly, Ollie Reed. 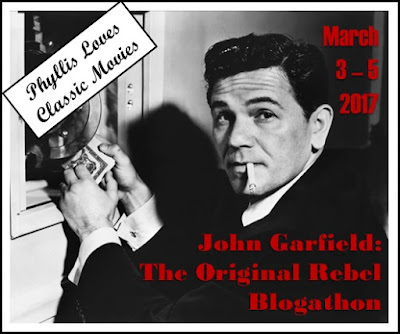 In no time at all, Reed arrives in town to take full control of the operation while at the same time insulting and seducing a local television reporter played by Deborah Raffin. When Koslo kills two more people with his crossbow, Reed will need a tracker who knows the Arizona outback. This brings Jim Mitchum into the story as a local cowboy. 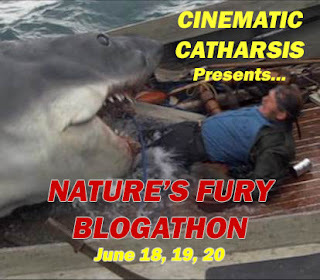 The first attempt at making the money drop backfires but allows for the director to stage some good action sequences that culminate on a large dam where Reed and Mitchum will come close to capturing Koslo who makes a miraculous jump to the waters below. Whitman raises Reed’s temper when it’s discovered that the drop bag had only blank paper slips in it. This will lead to another good scene where Koslo and Whitman will play cat and mouse games in Whitman’s palatial estate. The end result? All of Stu’s guards are dead and the ransom has now gone up to four million dollars. While Whitman’s ego is getting to him, Koslo is pushing all the right buttons and Mitchum and Reed are tracking them both to the final clash that will offer a couple of twists and surprises that I kind of liked but of course won’t go into here. You’ll have to locate a copy of this one for yourself to appreciate the conclusion. 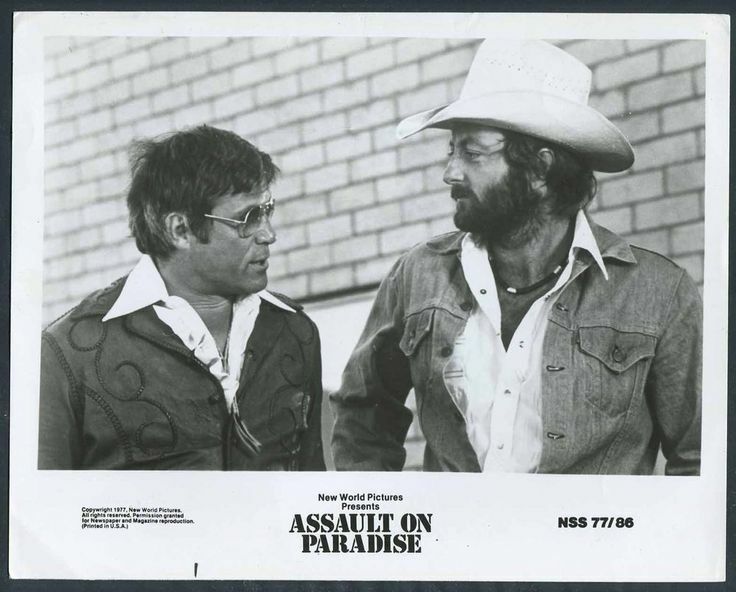 I suspect that the opening scene in the print I saw under the Assault On Paradise title was added after all the principle actors had finished and disbanded to their next project. It plays like a scene out of The Town That Dreaded Sundown when a killer in a clown mask shoots and kills two lovers enjoying a late night rendezvous in a convertible. The scene reeks of exploitation. Following though is a well done thriller with many chase scenes involved that capture the Arizona countryside beautifully. The use of helicopters in the production heighten the chase scenes and draws attention to the filmmakers trying to turn in a good product for release. The film does have some drawbacks including an ill conceived car chase sequence that has too much comedy injected into it when up to this point the film has been serious in it’s delivery and tone. But hey, it’s a feature that plays best for the drive-in crowd on a double bill. If you know the hijinks Oliver Reed could get up to on a movie set then you have to love one dialogue sequence where he asks how far it is to his hotel. When he’s told twenty minutes he follows up with, ‘the nearest bar?” It being only ten minutes away becomes his preferred destination. I picked this title up on blu ray from Code Red Releasing. It’s a top notch release and aside from the film itself, the best thing on the disc is a 45 minute interview with Paul Koslo where he entertains us with stories from most of his 70’s output working with Duke Wayne, Eastwood, Bronson, Reed, Heston, directors and many others. I looked on youtube to see if this was available to include here but alas it isn’t. Too bad but if you get a chance to see this chat, I’m sure you’ll love it. 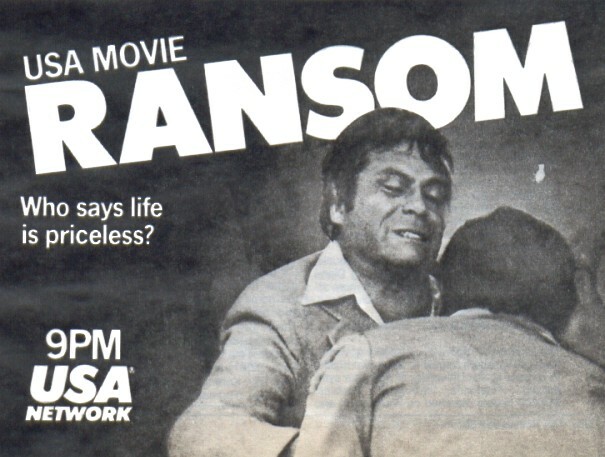 I vaguely recall this film playing on a station out of Toronto years ago under the Ransom title but probably wasn’t allowed to watch it at the time. Parental Guidance reared it’s ugly head I suppose. Included on the disc as well is the TV cut which runs an extra 15 minutes and even features some Ollie Reed narration like he’d been dropped into a Noir effort. Go figure. One piece of trivia to include here is that Byrds member Roger McGuinn is the credited composer of the film’s theme music. All in all a decent thriller from the times with a cast I’d walk a good mile or two to check out on screen together. Love the name “Assault in Paradise”. Never heard of this one. Though Ollie has to be good fun. Hehe the “The nearest bar?” quote made me chuckle. The cowboy hat and beard take away the Mitchum look but Jim’s resemblance to his Dad in uncanny. I will for sure be keeping a lookout for this one. Jim really did look like his Dad. Same eyes and a big man as well. He actually played his Dad’s younger brother in the cult fave Thunder Road in 1958. I love all things Ollie and he would have turned 80 so I thought I’d watcha and post one I hadn’t seen on his birthday. It’s a cult classic that even ‘The Mitch” sings the title song and had a hit on the radio over here back in the day with it. Enjoy. 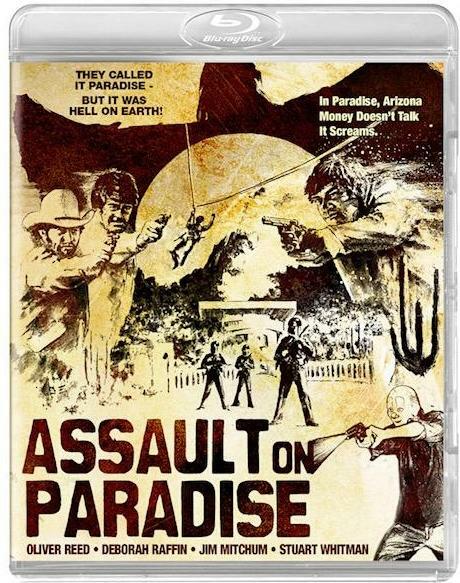 Not sure which title I prefer…’Assault on Paradise’ or ‘The Town That Cried Sundown’…I mean, ‘Terror’. I mostly remember Paul Koslo from ‘The Omega Man’, but I liked him in ‘Joe Kidd’ as well. I can’t believe he’s 73 now! 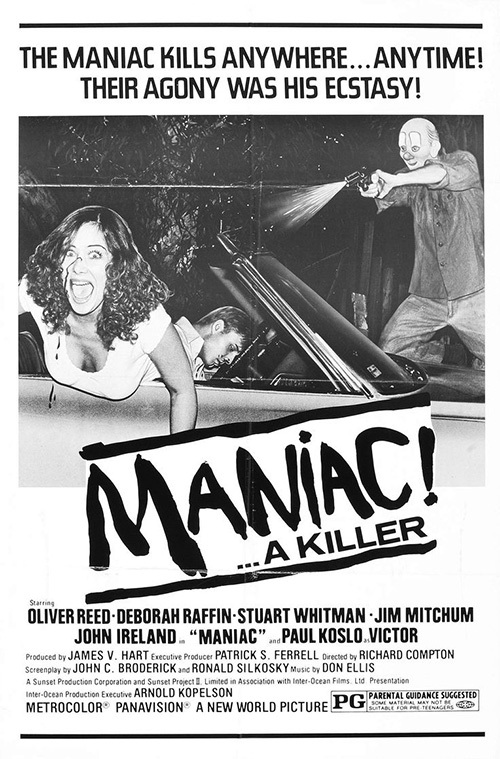 And the poster for ‘Maniac!’…was that a scene from the movie, or was it made up for the poster? That scene was I believe the added on clip for the rerelease under a different title. I actually had the Maniac poster in my hands a few weeks back and didn’t buy it! No Ollie on the poster. a total sham. 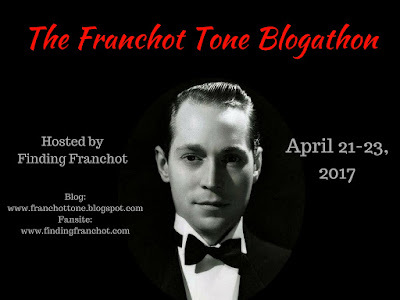 I liked Koslo best as the tough talking loser in Mr. Majestyk. Bronson put him in his place. Dang, I don’t remember him in ‘Majestyk’…now I’ll have to watch it again. 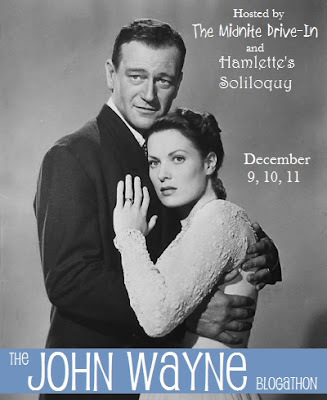 And I can’t remember the lead actor in that one…Bragan? Brandon? Bronstone?